Aside from being one of the most famous surfing and vacation spots in the country, Baler also hides some really mouthwatering food stops! 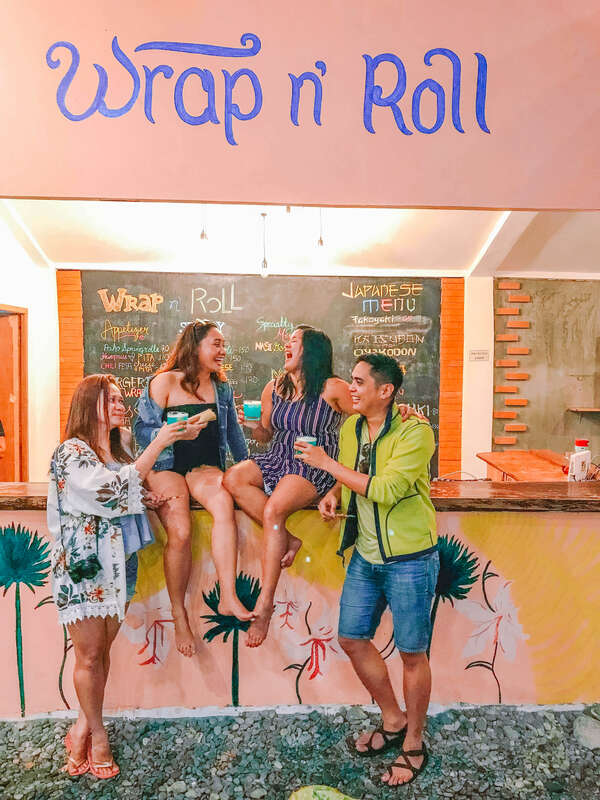 When you’re done frolicking in the wind-swept beaches and riding the rough waves, check out these must-try places for your rumbling tummy. 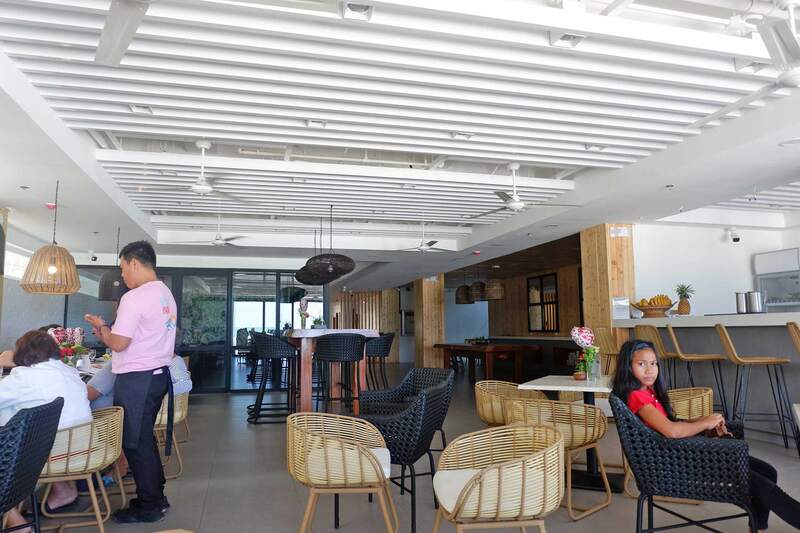 Costa Pacifica is one of Baler’s more famous resort hotels, and its in-house restaurant (quaintly named “Beach House”) offers a wide variety of dishes for every craving. Aside from the more traditional Filipino and American cuisines, they also offer Mediterranean dishes perfect for the beach. 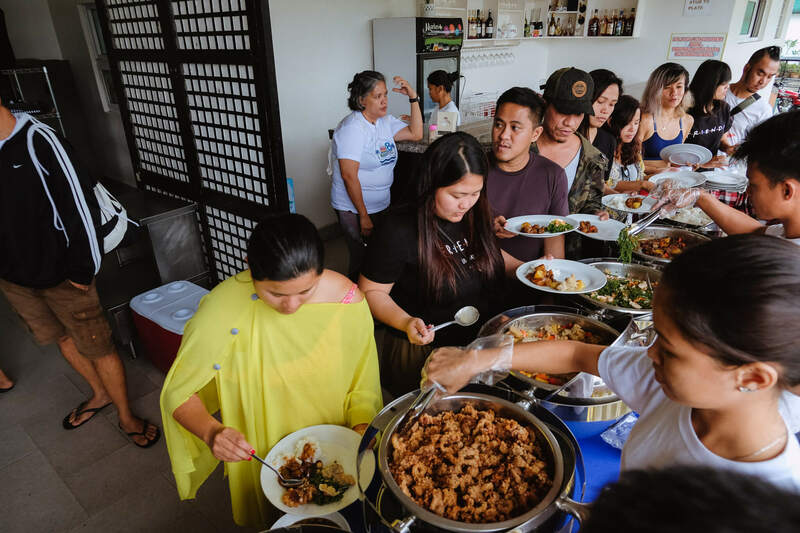 The place is also famous for specialty dishes that incorporate Baler’s local flavors, such as “Baler’s Best”, a mixture of banana, peanut butter, and coco jam. 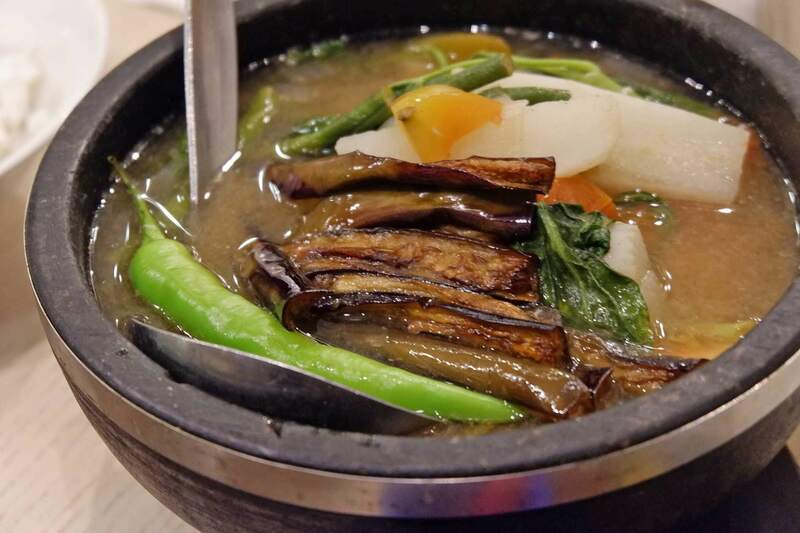 There’s also their own mix of grilled seafood and vegetables, along with Baler Longganisa. We ate at the Beach House for dinner and it was so good that we decided to drop by again for lunch next day. For savory viands, we highly recommend to try the Ilocos Style Bagnet (Php 350.00). It’s crispy, well-seasoned, and quite generous in serving (good for 2). I was really craving for seafood and their Sinigang na Hipon was not a let down. Just the right amount of sourness, tanginess, and good for sharing for 2. Highly recommended! Pako Seafood Chowder Soup by the Beach House at Coasta Pacifica Baler. 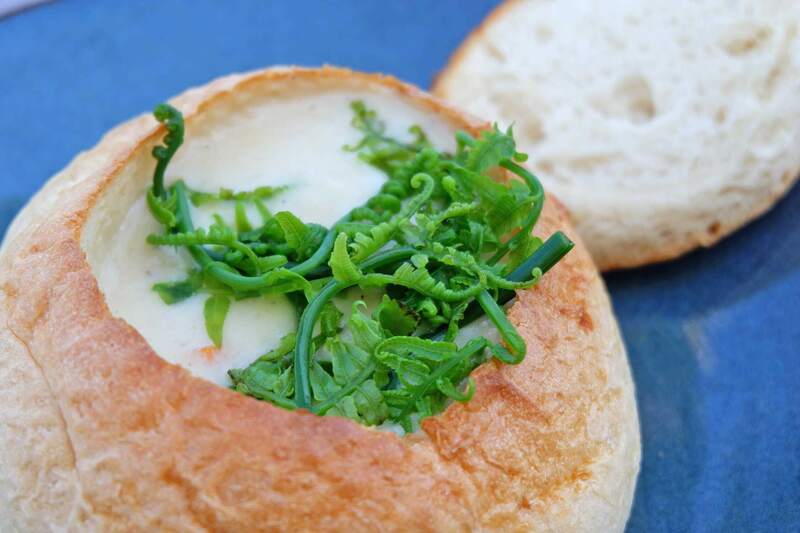 We also enjoyed the Pako Seafood Chowder Soup (Php 150.00) that comes in a bread bowl. Thick, creamy, and generous with seafood bits. Then get down and thirsty with the Beach House’s sweet-quenchers. We super loved the Fresh Buko in a Shell (Php 50.00) and the Frozen Buko Lychee Shake (Php 115.00). 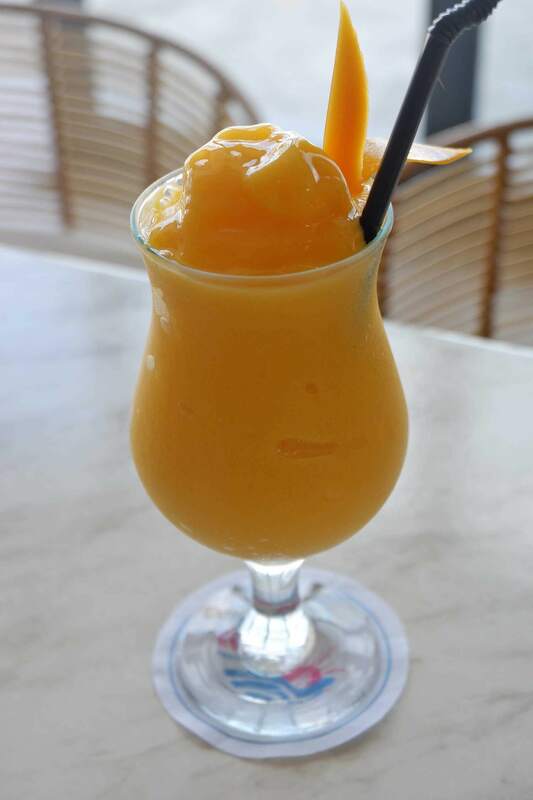 Perfect for the beach and the hot hot summer! Yes, Baler Longganisa is one of the tastiest longganisa varieties I have tasted! CUBE’s claim to fame is its unique take on this treat, breaded and deep-fried and served in a distinctly Filipino way — on rice, with egg, and coffee! This one’s great if you want some good chat along with your food! They’ve got Filipino and Western cuisine, and they also have a selection of Italian meals — case in point is their All-Meat Pizza, one of their bestsellers. They also have a local take on traditional Pinoy faves like sisig and dinuguan, which is perfect with the live band and open mic ambience. Right beside Baler is the small town of Maria Aurora, famous for its homegrown cacao industry. 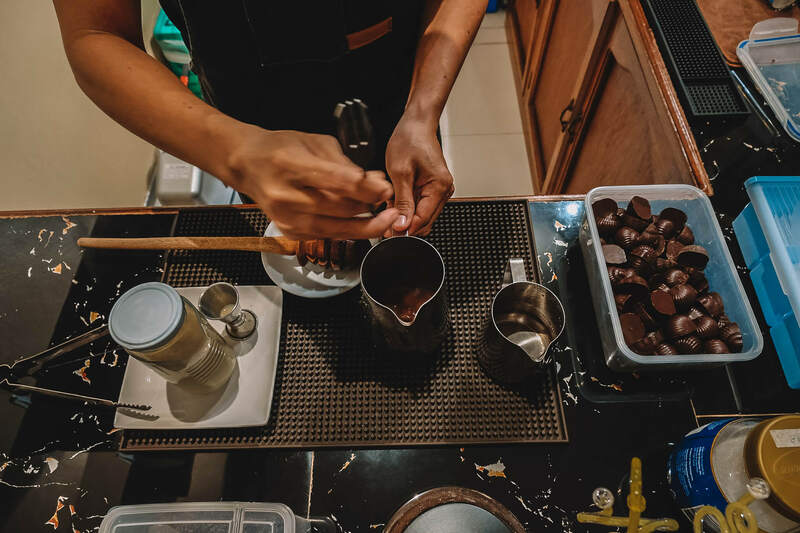 Mumunsi takes these delicious beans and turns them into tasty chocolate treats (with unusual flavors — Baler seems to love tasty twists!) and specialty coffee. The place is named after the mountain where the beans are planted and grown. There are places that first come to mind when you’re really hungry. Chef Gerry’s belongs to the latter. They serve a mean eat-all-you-can without breaking the bank, so if you’re short on time for a food trip make sure you at least try their grilled options. They also have a great view, facing the Pacific Ocean and giving its diners a great al fresco experience. For those looking for more of Picnic Bay’s waterside experience, try out Cobra Reef. They have a beach buffet that has access to the beach! You can literally munch on a snack from their selection while you approach the white surf. You can also swim, or surf if you have a good idea how to (the waves aren’t really newbie friendly). If you’re looking for a place to hold a special occasion, from weddings to company gatherings, then you can request a special buffet menu for them. Speaking of budget-friendly buffet, another one you shouldn’t miss is La Patricia. Whether you’re looking for local or international cuisine, it’s the way to go. It can be a pretty crowded place because of its popularity, but you can always call them ahead of your visit for reservations. Another famous restaurant that offers good food and good views, this one serves all-day breakfast fare. If you’ve got a hankering for some silog or maybe a ham-and-egg sandwich, and you also want to take a dip right after, then don’t miss this place. We arrived just before noon in Baler and went straight here for some brunch. The restaurant itself is newly renovated and it’s nice and cozy. Get a table by the baywalk too if you want to eat with a view of Sabang Beach. We had the Tortang Talong which was our personal favorite – meaty, tasty, and quite filling. Love rice? 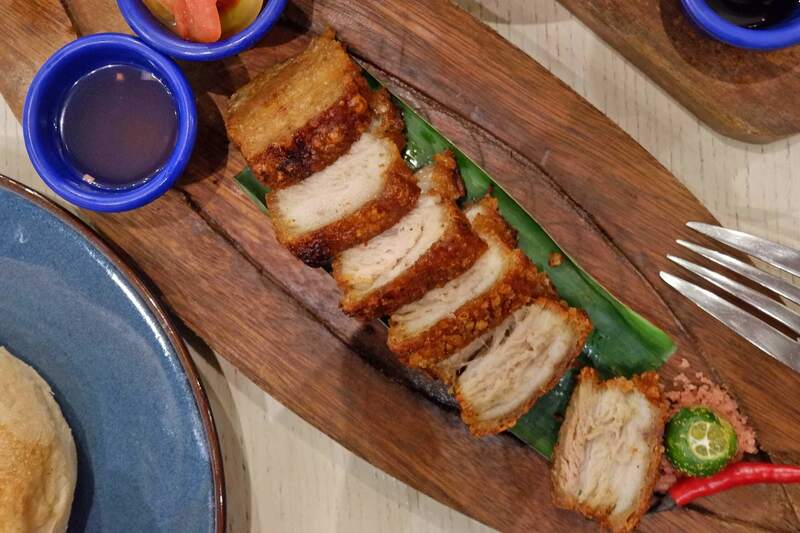 Go for the Bagnet Bacon with Laing Omelettte (super good laing). 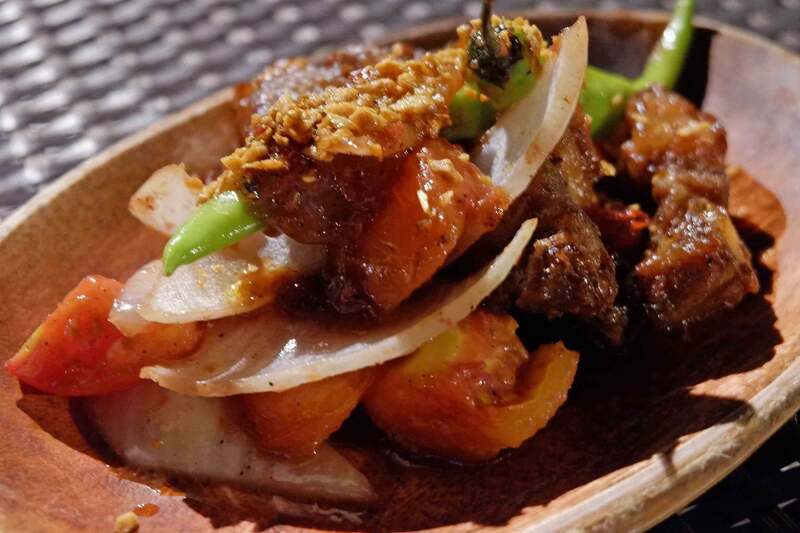 If you’re up for something exotic, this one serves some of the best pako specialties in town! Pako, or fiddlehead fern, is one of Baler’s specialties. 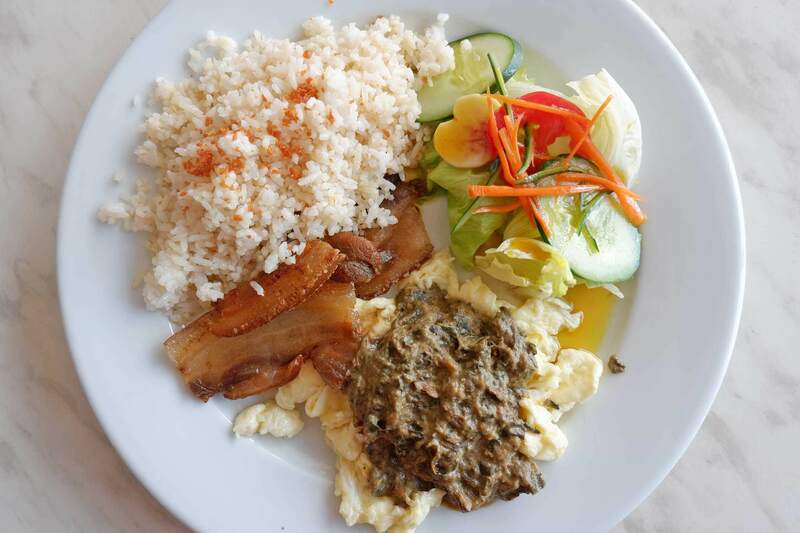 At Boardwalk Restaurant, you can find everything from “Pakoy” (okoy, with pako) to pako sisig! While prices are not that cheap (Php 250-450), the serving portions were big and good for 2-3 pax. 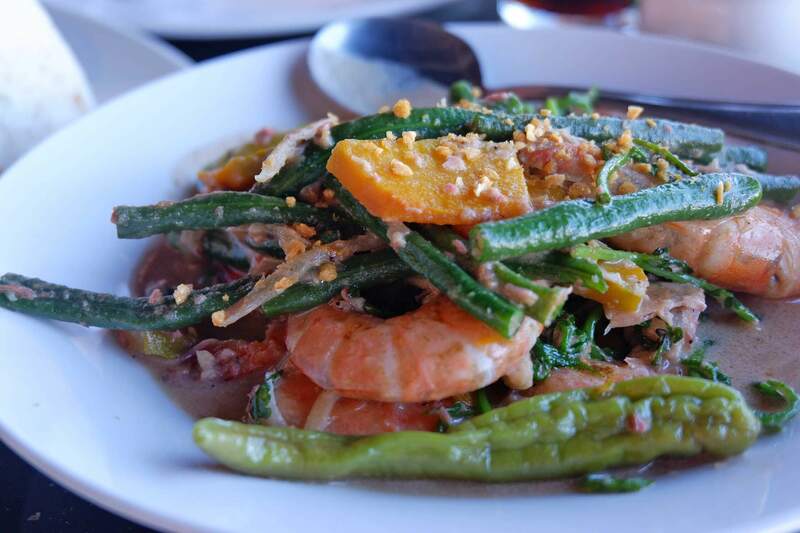 Super satisfied with the creamy Ginataang Hipon with Vegetables and Grilled Blue Marlin! Going to Baler for some Surf Fun? One good options for where to stay in Baler in Nalu Surf Camp. 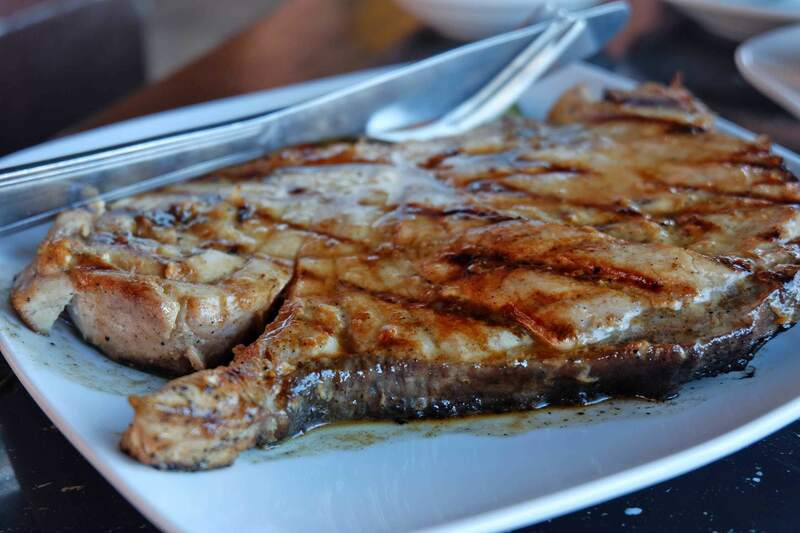 Aside from their rustic accommodations and awesome surf instructors, food is also good in Nalu Surf. 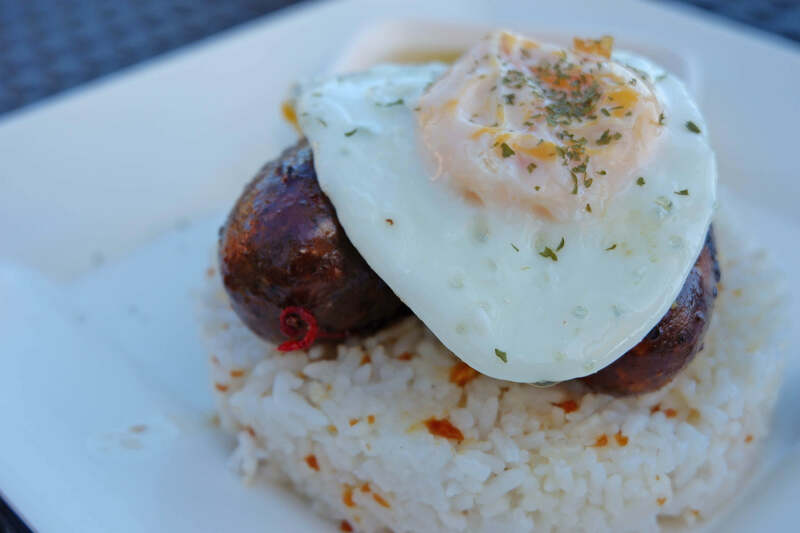 For all day breakfast, their Baler Longanissa is your best bet. Big, Savory, and totally crave worthy. Eat at the garden so you can catch surfers doing hang ten from a distance! 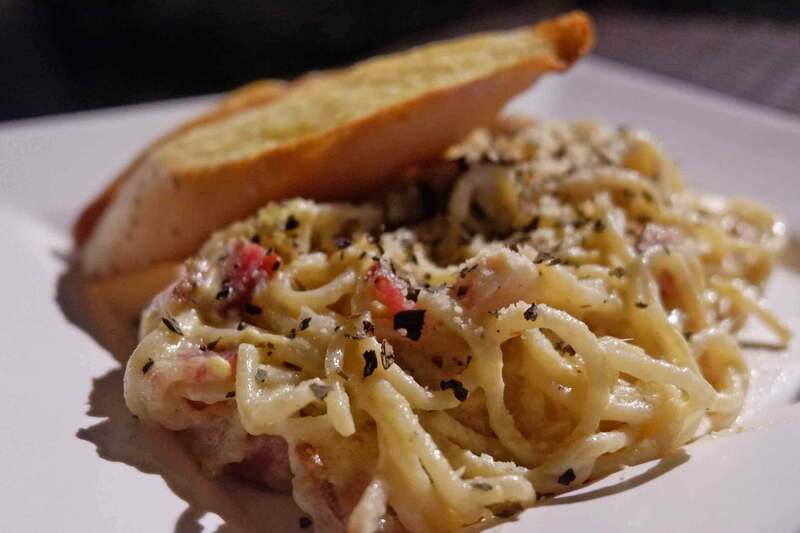 For only Php 150.00 per order, you’ll surely get satisfied with the extra delicious Carbonara and Pork Binagoongan. Extra rice please! Check out our Nalu Surf Camp Resort Review. Yellow Fin Bar & Grill. 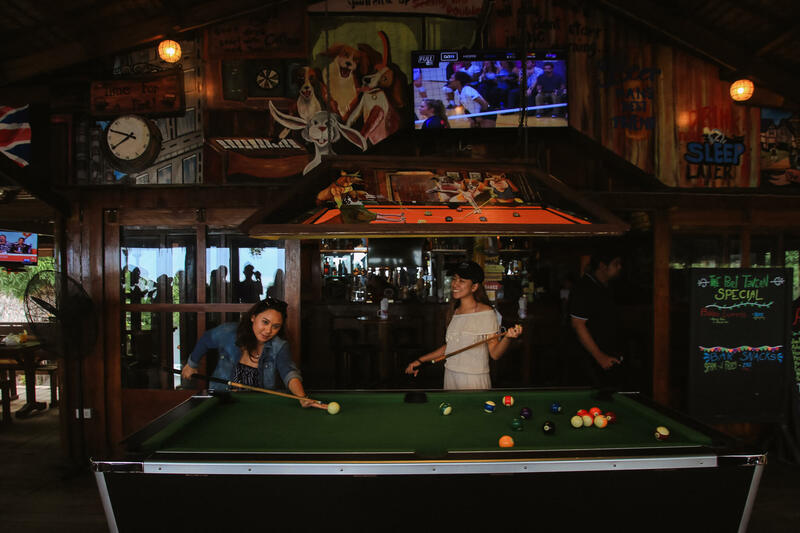 If you’re in the area of Buton, and would like to sample the nightlife there, Yellow Fin is where you should go. Aside from the band and the good ambience, they also serve some really delicious, and perfectly-marinated barbecue sticks! They also have some good grilled seafood, paired perfectly with their well-made cocktails. If you love food parks, Myrtle is your thing. The place is colorful and lively, and it also offers everything from wraps, burgers, and salad to pako lumpia! Their cocktails are also infused with local flavor, using ingredients like lambanog. Just like any tourist spot worth its name, the stores by the roadside hide some real gems. Ask around for where you can buy the best suman de baler, made of purple rice that’s grown right here. 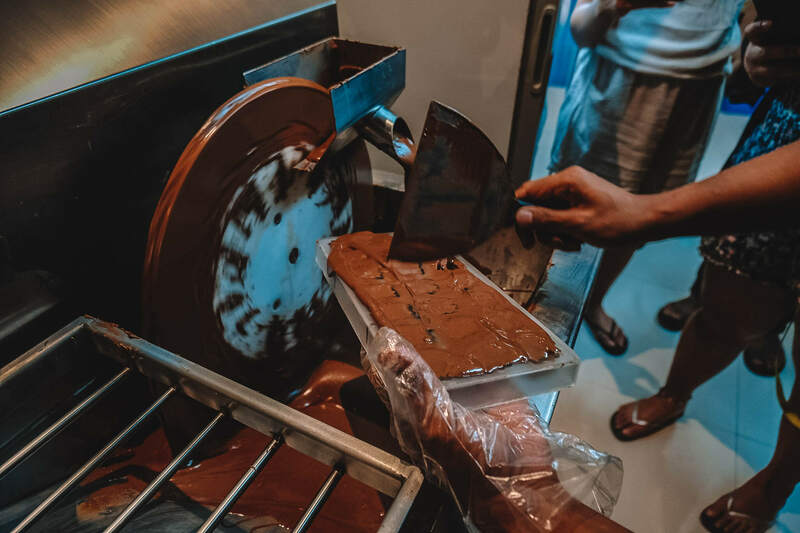 You also can’t leave without tasting the sweet bignay wine, or the perfectly-concocted peanut butter (look for the Great Harvest and Nanay Pacing’s brands). Hungry but on a budget? 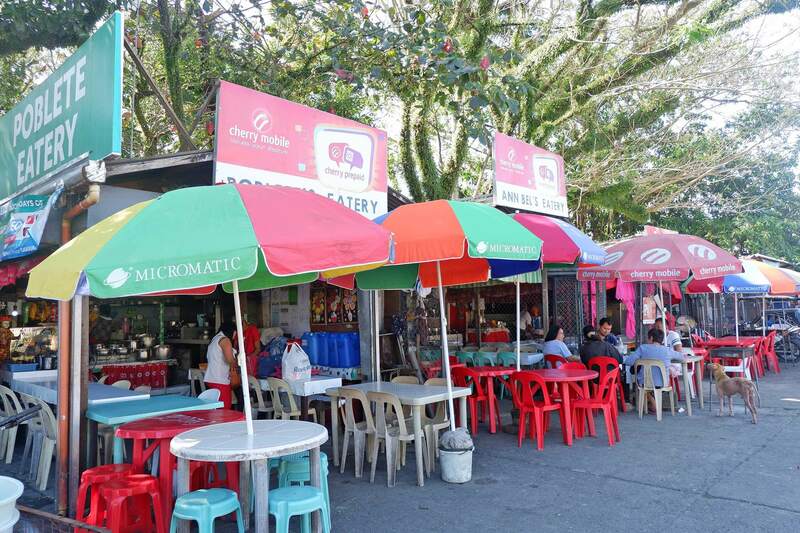 Go and visit street eats like Poblete Eatery. Php 50 lang for some meals! Or if you find yourself in the Museo de Baler, try the cheap but delicious eats at the Poblete Eatery. We’ve seen Aurora as the definitive surfing spot this side of the country, but did you also know it’s a biking destination? This kitchen pays homage to that. The place serves hefty servings (not unlike their homonym, “Vikings”). Try their sizzling plates and egg rolls! Finally, what’s a good meal without a good place to drink? The Port Tavern is located in SeaSta Beach Resort, and has both fine drinks and a fine view. There’s free WiFi, but it’s much better to enjoy the breakfast meals and appetizers (and lots of drinks!) playing darts or watching TV with the company! Baler has good sights for the eyes and soul, and good food for the tummy — what’s not to love really.